The Typhoon aircraft were sent out from RAF Lossiemouth this afternoon after the Blackjack aircraft flew over Norway and off the east coast of the UK before leaving. The aircraft did not enter UK territorial airspace. A spokesman said: "We can confirm that RAF quick reaction alert Typhoon aircraft from RAF Lossiemouth scrambled to monitor two Blackjack bombers while they were in the UK area of interest. This is the second time in just five days the RAF has been alerted to a threat after another Russian aircraft flew close to UK airspace on Friday. Defence Secretary Gavin Williamson praised the “brave RAF pilots” and insisted Britain must remain “vigilant”. Mr Williamson said: "Our brave RAF pilots have shown again that we are ready to respond to any threat to the UK." 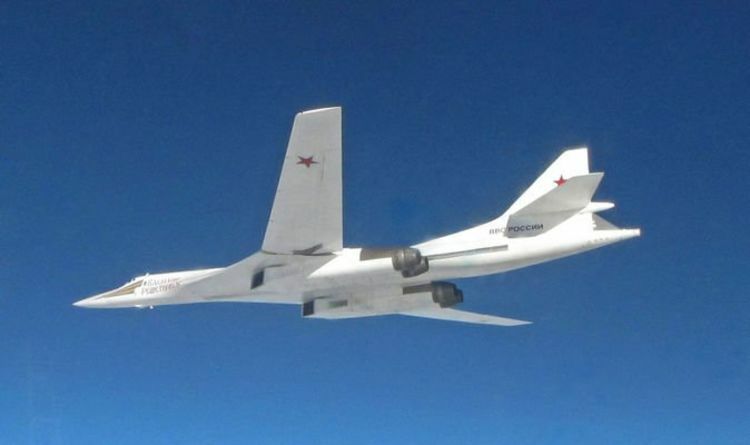 On Friday the MoD said in a statement: “The RAF worked closely with NATO partners to monitor the Russian aircraft as they passed through a variety of international airspace before they were intercepted over the North Sea. The drill involves up to 10,000 personnel, 35 warships, five submarines and 59 aircrafts at ranges in the Highlands, including at Cape Wrath near Durness.